I’m having a fabulous summer and I hope you are too. Here in my neck of the woods we are finally in the mid to upper 80’s and fulling enjoying the outdoors. Pool time, walks, parks, ice cream on the deck….seriously soaking up the fun. But even surrounded by all of this I often find my mind wandering to cooler days…. No matter what time of year it is I have a soft spot for fall. I love the colors, the crisp air, sweaters, apple cider, and pumpkin everything. I saw a pair of handmade argyle socks on Pinterest and got super excited this morning. Clearly others have the same mind set. There is also that childish excitement that comes with counting down the days til Christmas. I usually start Pinning and planning for my home and family in October. (I promise there are no decorations until after Thanksgiving.) For my business, Original Greeting by Sarah, I start planning and creating now, in the heat of summer. Fall craft fairs and online sales of Christmas items start to pick up in September. So this week, after the fireworks and parades I sat down to sketch out some new ideas. Last year I created some fun gift card holders that sold like hot cakes. They will be back this year, but I’ve made some improvements. 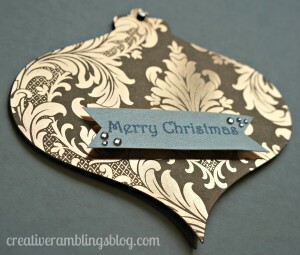 This is my first stab at the new design. 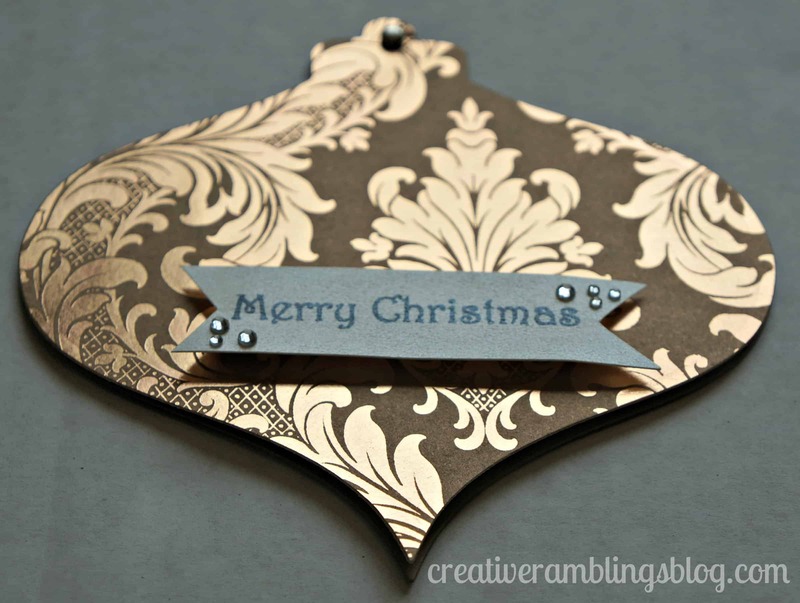 A die cut ornament using bronze and gold foil paper. 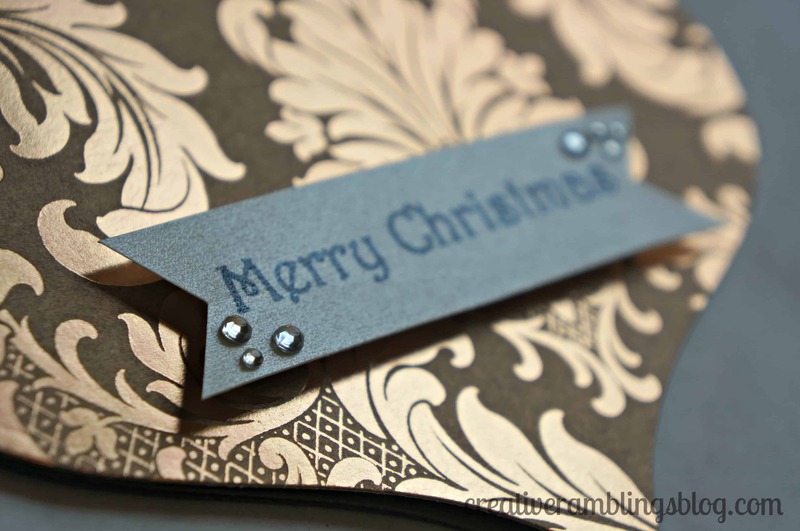 I added a raised Merry Christmas stamp with a few sparkles. 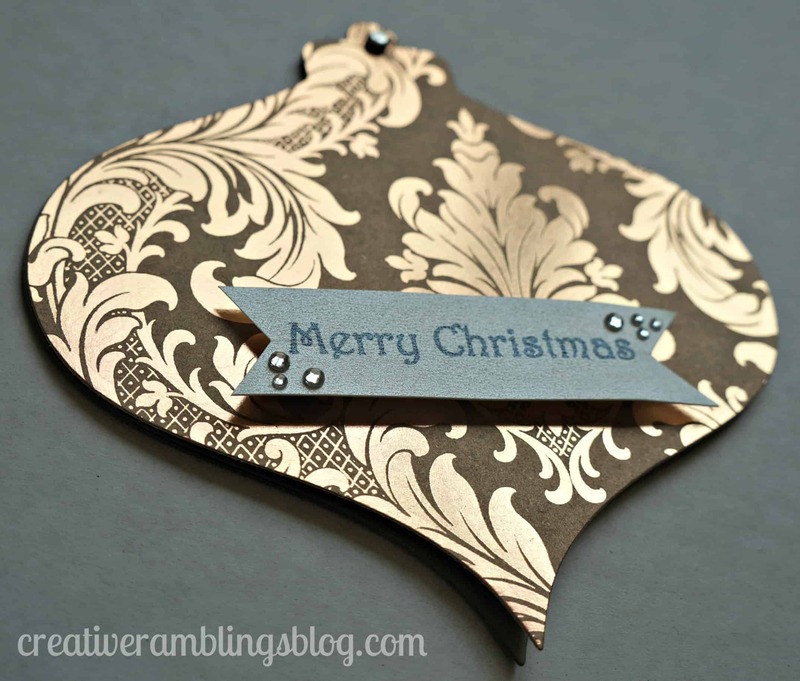 The ornament swivels open on a brad to reveal a pocket for a plastic gift card. The bottom portion of the inside has a blank space for a message. I don’t think I will fully jump into Christmas just yet, it’s a beautiful sunny day and I have plans to be outside this afternoon. Maybe a design or 2 a week and full production next month. I know I’ll miss summer when it’s gone, and that always comes too soon. Look for these in my shop in September. Love it! I’m anxiously waiting for fall…partly cause its my fav, but mostly cause I am not loving the 100+ degree weather we are having right now! I long for the heat in the dead of winter then, just like you, get sick of the hot sticky stiff real quick! Thanks for stopping by. I know it’s been a while since you posted this and I am so so so glad it was still there for me to find. 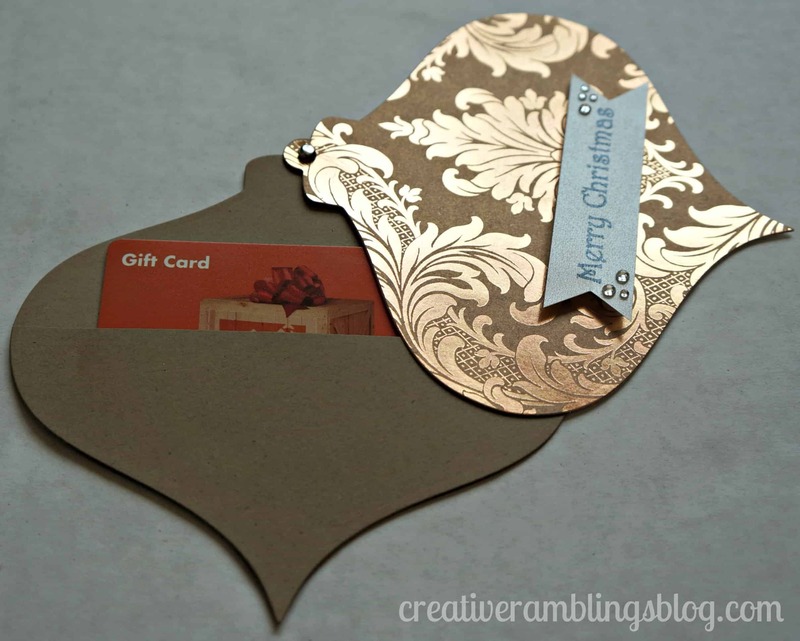 I’ve been looking and looking for gift card holder ideas that weren’t just prettied-up envelopes…you know, something different, something original, and something that could actually become an ornament after the card is removed. You might not have gone quite that far, but with your idea I can take it the rest of the way. I’m so happy. Thank you muchly! I am so glad you found this helpful! Thanks for visiting.